All markets slide, some loosing up to 5%. A decline or stagnation of U.S. and European economies feared, with a reduction in consumption and exports from Asia. The G-7 promises to "support financial stability and growth." The ECB seems intent on buying Italian and Spanish bonds. The economies of many Asian countries at risk of. China’s criticism. Hong Kong (AsiaNews) - Asian stocks continuing their downward spiral. 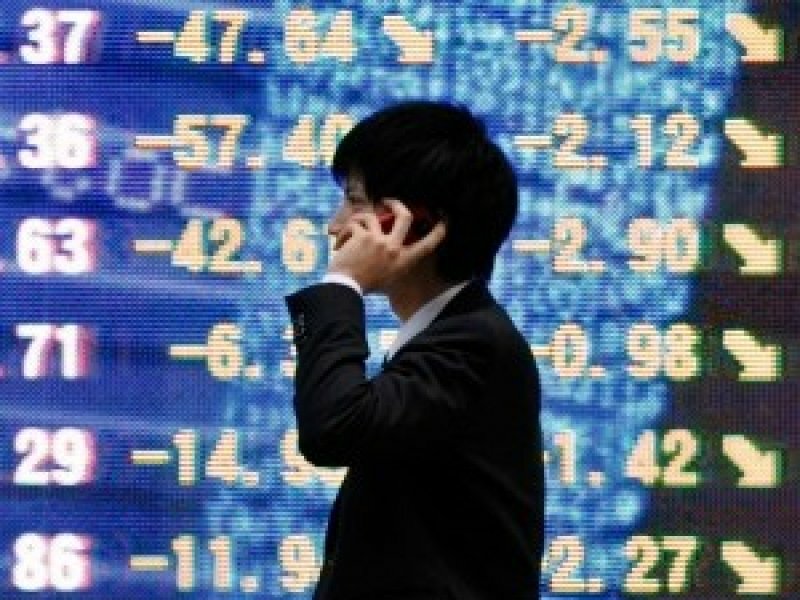 At noon today the Nikkei index in Tokyo lost 2.3%, Seoul5%, Hong Kong 4%, 3.7% Shanghai, Singapore 4.7%, Mumbai on 3%. The fall was expected, after the agency Standard and Poor's (S & P) downgraded the U.S. credit rating from AAA to AA +. 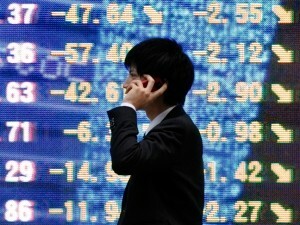 But analysts fear another global crisis, fuelled by European and U.S. debt. The fear of many investors is that the downgrade by S & P's means that the U.S. economy will slow down and enter into recession. In addition, Europe also struggling to grow. This means that many businesses that thrive on exports to these giants will see orders shrink each month. Arjuna Mahendran, of HSBC, told the BBC: "We depend on requests from U.S. and Europe. A slowdown in those economies will produce a fall in consumption and this takes away a huge support pillar for the growth of the region. " The finance ministers of the G-7 and central bank governors issued a statement yesterday in which they promised to "take all necessary measures to support financial stability and growth" by injecting liquidity into the market and acting against disorderly currency movements . The European Central Bank seems willing to buy Italian and Spanish treasury bonds. Japan also said it would act to reduce the value of yan. Meanwhile gold, one of the few remaining assets of refuge, was quoted in Hong Kong at 1704, 3 dollars an ounce. Today, the S & P's said that a new global financial crisis could hit Asia much harder, particularly those countries exposed to offshore markets or recovering from the damage of the 2008-2009crisis. The rating agency has predicted a decline or stagnation of U.S. and European economies and among the nations most at risk has cited Pakistan, Sri Lanka, Fiji, Australia, New Zealand, South Korea and Indonesia. But at risk - because of the blows received during the last crisis - are also Japan, India, Malaysia and Taiwan. S & P's does not mention China among the countries at risk. But the Chinese giant is one of the largest exporters to the U.S. and Europe, as well as being the largest creditor of U.S. bonds (about 1300 billion U.S. dollars). The downgrading of the credit rating and the stagnation of Western economies is already a serious handicap for the country’s development. This is why even today the People's Daily, official organ of the Chinese Communist Party, criticized the United States and Europe, over their "political wrangling" and their "democracy", which makes them "irresponsible" towards the national economy and the other countries around the world. "It must be understood that if the US, Europe and other advanced economies fail to shoulder their responsibility and continue their incessant messing around over selfish interests, this will seriously impede stable development of the global economy,” the paper said.